The 24th iteration of CAN Infotech, an annual mega event of Nepal’s Information and Communication Technology sector (ICT), commenced from the January 25 and will be drawing to a close today. The mega event features 222 stalls altogether exhibiting various ICT products and services. The Huawei Mate 10 Pro was the first device I laid my hands on in the CAN Infotech 2018. The smartphone is Huawei’s much-awaited flagship smartphone in Nepal and was launched at the event itself. The major attractions of this device are its camera’s Artificial Intelligence, the Huawei Desktop Mode, its water resistance capability and the Android Oreo Operating System. The other wow factors include, a combination of 6 GB RAM and 128 GB of Internal storage, Huawei Kirin 970 Octa- core 10 nm processor, 20+12 MP f/1.6 dual cameras with Leica Summilux- H lenses accompanied by dual LED flash, among the others. 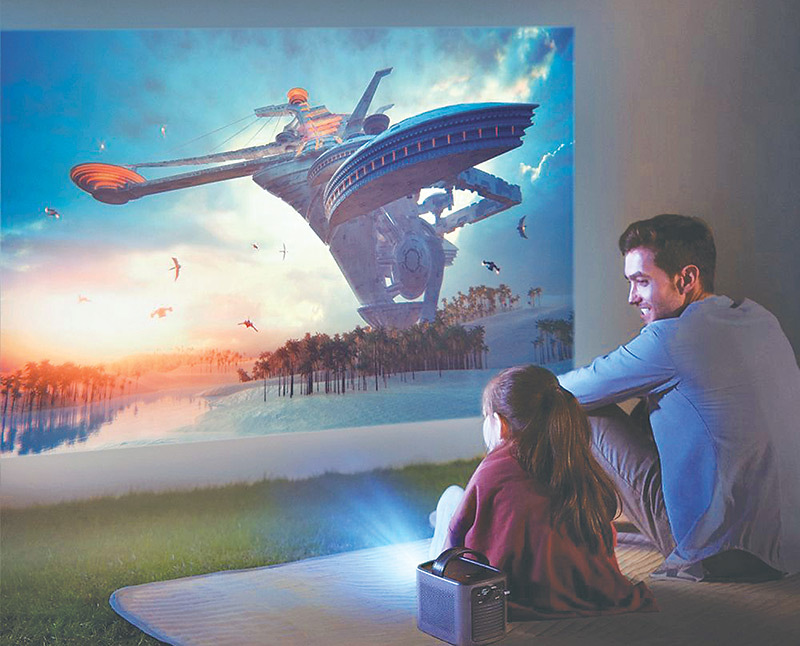 As far as the cameras are concerned, there is also a laser autofocus technology inbuilt in the cameras, making the device more attractive to potential buyers. Similarly, the device is backed by 4000mAh battery giving it a very long life to match its performance. The hassle of remembering multiple passwords is tiresome. Usually, the longer the password, the better and more secure your data is. While smartphones operate under various unlock technologies, PC’s don’t have such functionalities till date. As a solution, there is this device called My Lockey. 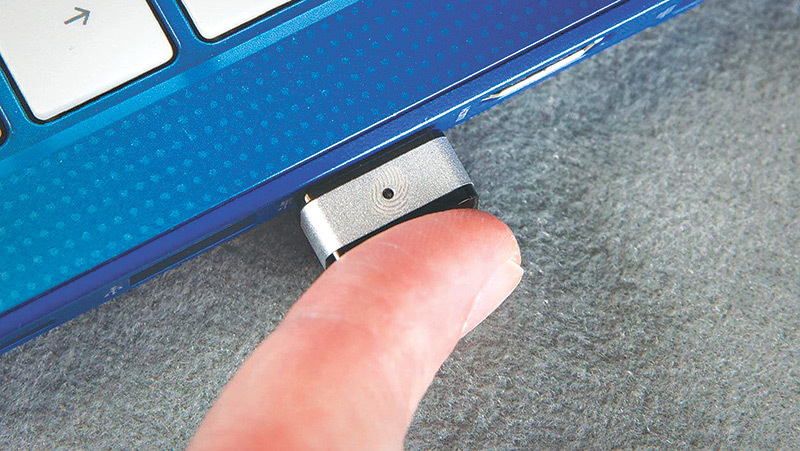 My Lockey is a Fingerprint Recognition and encryption Dongle for PCs. The new PQI My Lockey is the ideal solution for ultimate personal security solution. While reinforcing data security, My Lockey has simplified the process of personal identification in the form of this new innovation. The device is compatible with the Windows 10 Operating System. The reason why other operating systems cannot use it is because of the lack of biometric recognition hardware. To use the device, all you need to do is plug it into a device running Windows 10, follow the intuitive setup guide and viola, you have your own biometric recognition and identification system that reacts within 0.15 seconds. the seamless metallic back is hard to miss. 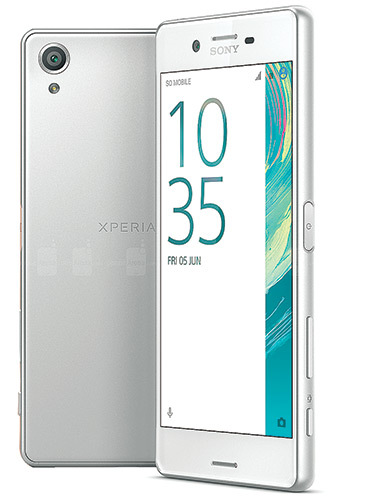 Similarly, the smartphone sports a 5.0- inch Full HD IPS LCD 1080p display, with a 400 ppi pixel density. The device is held up by a Snapdragon 650 SoC, supported by Adreno 510 GPU. 64 GB od Internal memory. The device is backed up by a 2,630 mAh battery life supported by Qnovo’s Adaptive Charging technology. What’s more exciting is that the device is soon to receive an Android Oreo update. It also has 4G LTE enabled and has NFC. Also featured at the event were various impressive ICT startups that impressed everyone. For starters there is Sagoon App, a social media application from Nepal. The app has exciting features like the Dashboard, Me Page, Mood Talk, My Day, Open Secret, Private Secret, Story Traction, etc, that is generating hype among the users as well potential users. Similarly, there is Sajoli Marmat Sewa, a one stop maintenance solution for households and businesses operating in Kathmandu. The service includes maintenance and installation of services like plumbing, repairs, electrics, etc, providing a single solution to all maintenance related problems. BeeCreative, another innovative startup which is an activity based co- curricular program designed by educators at Karkhana with a focus on delivering classes and activities within the school for students, teachers and administrators. In the same way, Sarathi Cab app, a mobile application that helps you book a cab whenever required at a reasonable price is also marking its presence at CAN 2018. The startup is working to promote comfortable and reliable taxi services in Nepal. Khalti, a digital wallet service is another that has been able to stand out in the ICT world. It is a digital service for instant, secure and hassle free online payments in Nepal. Lastly, among the dazzling startups was, Foodmario, which is a unique online platform that connects home cooks with customers, creating a more social platform for food enthusiasts to empower each other.